Everyone remembers Salt N Pepa for their songs, but few know that the 90s female rap duo love food as much as they do music. That's about to change with the group's new show on the Cooking Channel, airing Thursdays at 10:30 p.m. The aptly-named "Cookin' with Salt N Pepa" will take the rappers into restaurants across the country, where they sample various dishes and learn culinary techniques. “I'm most excited for people to see how much fun Pep and I have on the road, eating at different restaurants, and trying all kinds of food," said Cheryl 'Salt' James over a bowl of truffle- and cheese-topped French fries. "I'm also really excited to introduce new recipes to all my foodies, fans and friends." As someone who chose her iconic stage name from the most important and widely-used seasoning of all time, she takes eating pretty seriously. But dining out all the time did eventually take its toll. It's that discovery that drove Salt N Pepa to remix an old holiday favorite: the candied yams that you always see at Christmas dinner. 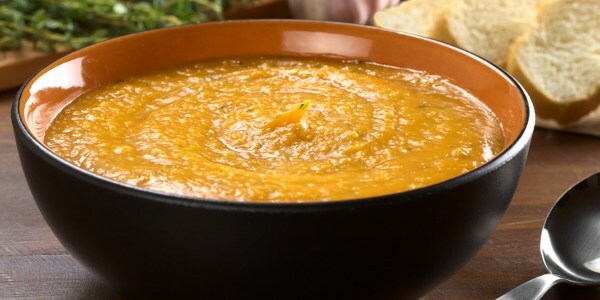 “My sweet potato soup provides a great way to enjoy those holiday flavors without all the calories and I just love this soup because I absolutely love my mother's candied yams and sweet potato pies at Christmas,” says James. Give the recipe a try and check out more soups on our Pinterest board.